Sausages at Currywurst, set to open this weekend. 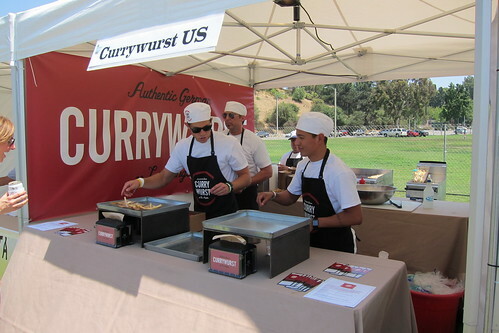 Between the two crosstown currywurst rivals (full disclosure: we don't actually know if they're going to be rivals, but we like to drum up controversy wherever possible), westside tavern Steingarten and recently opened Wirtshaus, it's a veritable German invasion in Los Angeles. Insert your own Angeleschluss joke here.